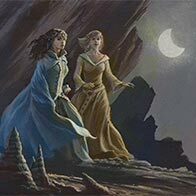 We’re pleased to announce a special event on May 18 as part of the closing festivities for Michael Whelan’s BEYOND SCIENCE FICTION art exhibition in Riverside, CA. Join Michael for an evening in conversation with J.J. Jacobson of the Eaton Collection of Science Fiction and fantasy. The Eaton Collection is one of the world’s largest, richest, and deepest collections of science fiction, fantasy, horror, utopian literature, and related genres. 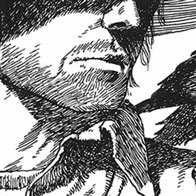 This free-wheeling conversation and extensive Q&A session hosted at the University of California Riverside is sure to delight fans of science fiction, fantasy, illustration, and Michael’s artwork. The Riverside Art Museum (RAM) in California proudly presents Beyond Science Fiction: The Alternative Realism of Michael Whelan. This major exhibition showcases the full-range of Michael’s extraordinary career. The show opens Saturday, February 11 with a reception at 7pm, free to the public. Michael will be available for autographs, and there will be prints on-site for purchase. Creative exercises can help keep an artist focused and productive. That was the thought going into 2016 with the Leftovers & Palette Gremlins project…and boy did the project prove essential in a year teeming with distraction. Looking back it’s hard to believe I posted a new work every week—mostly on time—but there they are, all 52 still available to view. The project was so well received that I’m committing to do it again in 2017. This year I’ll be publishing in semi-regular installments, not quite weekly because of time commitments like the exhibition at the Riverside Art Museum. BEYOND SCIENCE FICTION KICKSTARTER — UPDATED! 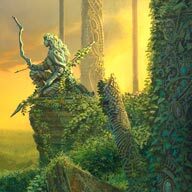 Escape to thought-provoking realms in a major Michael Whelan exhibition opening at the Riverside Art Museum in February 2017. “Beyond Science Fiction” features 50+ masterpieces from the storied career of a modern master. 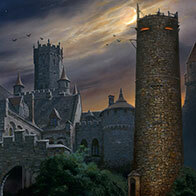 Michael Whelan’s pop-culture-defining imagery has undoubtedly influenced many of the top illustrators working today. But his deeply personal work simultaneously resonates with sophisticated art collectors. “Beyond Science Fiction” offers a unique opportunity to view these both his illustration and personal works side by side in a breathtaking show curated by Bob Self of Baby Tattoo Books. Come join us in celebrating work from an artist whose accomplishments are unrivaled in his field. 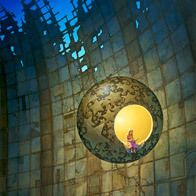 Michael Whelan will be one of over 70 artists exhibiting work at the Abend Gallery in Denver as part of a breathtaking show of Imaginative Realism titled “Inner Visions.” The exhibition, which runs from October 8 through November 11, includes up and coming artists displayed side-by-side with award winning, world renowned paints. 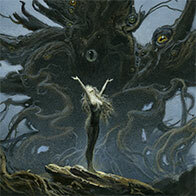 IX PREVIEW WEEKEND WITH LIVE PAINTING DEMO! The event leads up to IX 9 in October, this year’s installment of the groundbreaking art show, symposium, and celebration dedicated solely to the genre. The preview will feature a packed schedule of demonstrations, lectures, workshops, gallery tours, sketching tours, and more! 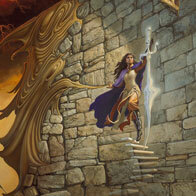 Michael Whelan will be among the 90 juried artists displaying in the main show at IX9 (IlluXCon). 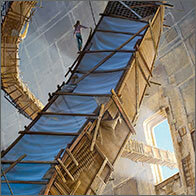 The groundbreaking IX show is the world’s largest symposium dedicated solely to Imaginative Realism. This will be Michael’s first appearance there in several years and a great opportunity to meet him and see his paintings in person. The first offering of palette gremlins has arrived in our shop, eight framed and ready to hang pieces from Michael’s 2016 online gallery project LEFTOVERS & PALETTE GREMLINS. 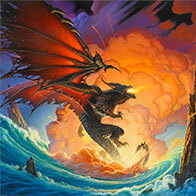 You won’t find a better opportunity to own a Whelan original at such a great price! Also new in our shop is a reproduction of Michael’s latest gallery work IN A WORLD OF HER OWN, which features elements of both his FADED STAR and LUMEN series. The painting will be featured at Tree’s Place in Orleans, MA starting on August 13 in a show with Michael Mariano entitled KINDRED SPIRITS, ARTISTIC SOULS. PLEASE NOTE: We have been experiencing difficulty with our webhosting today. Apparently some of the gremlins escaped and have been tinkering with our server. We hope to have the issues resolved, but if you continue to have problems accessing our shop please don’t hesitate to contact us. We’re always happy to coordinate sales offline. Both Whelan and Mariano will be doing a live demonstration at the opening reception. Come watch two masters engaging their creative process as they collaborate on canvas. Established on Cape Cod in 1986, the gallery at Tree’s Place is billed as one of America’s Finest Contemporary Galleries. Opening Reception: Saturday, August 13th from 5-7 PM. The show will continue through August 26, 2016. 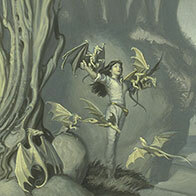 Over the weekend, Michael Whelan received his 31st Locus Award for Best Artist. The awards, chosen by an online poll of readers, were presented on Saturday, June 25 by the Locus Science Fiction Foundation in Seattle, Washington. I would like to receive notices for events when Michael is in my area! Subscribe to our email newsletter to receive updates on Michael's work, new features in our gallery, and the latest promotions in our shop.